Scottsdale Fashion Week-Friday and Saturday! Home Fashion News Scottsdale Fashion Week – Friday and Saturday! Today I am happily dragging my little tootsies out of bed. It’s a busy day for the Glam girls and me; we will be rocking the makeup tonight and tomorrow for some of the best shows of the weekend. Yesterday I got a sneak peek at the samples that Barneys will be showing during the finale show of Scottsdale Fashion Week on Saturday night at 10:00 pm. Can I just say…Off the charts! 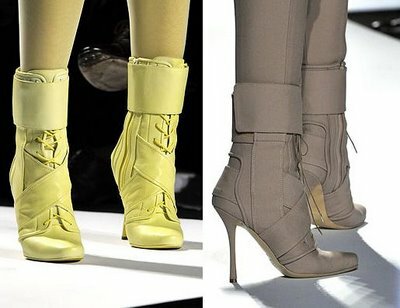 The shoes are insanity… I want them all! I only wish that I could run around backstage in heels… I have tried it, it doesn’t work. In fact during one of the shows I did this summer I actually witnessed two designer executive go down in stiletto’s right off the back of the stage…. Not a pretty site. It gave the term “break a leg” a whole new meaning. 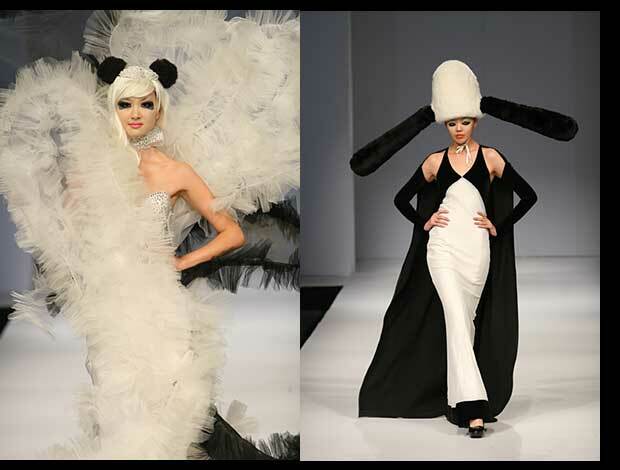 Tonight I look forward to Kevan Hall’s gorgeous gown creations, Zhao Bandi’s fantastical panda parading… really I just can’t imagine what magical creations based on China’s veritable symbol he will be showing and the unveiling of Escada’s Spring Collection 2010. Tomorrow there will also be a bevy of fun shows to ogle over like Kate Spade and Carolina Herrara. And let’s not forget those hardworking indie designers that will be taking the Southbridge stage tonight and tomorrow like my buddy Angela Johnson who unveils her latest and uber fun collection. And iuk iuk by Alina Samasuick this year’s Designer of the Year who’s super modern pieces are also super versatile. There are also plenty of retailers on the Southbridge stage as well including Destiny’s Bride where I will also be lending a hand backstage in the fantasy makeup… I can tell you that it’s going to be a beautifully romantic show that’s worth a look! You can still snag some tickets by visiting the on-site box office after 5 pm tonight and tomorrow night! Zhao Bandi stuff is so Lady Gaga!